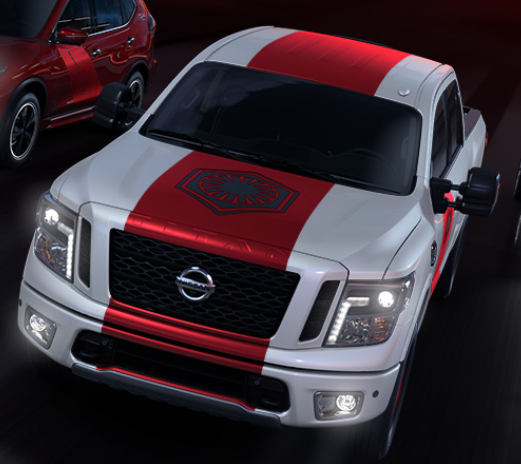 Nissan Celebrates The Last Jedi...And You Can Win! Nissan has collaborated with Lucasfilm in support of Star Wars: The Last Jedi to bring you the ultimate chance to celebrate your fandom with the Master The Drive sweepstakes. Customize a Rogue, Rogue Sport, TITAN or Altima with official Star Wars inspired colors, decals, lighting and more, and you could take it home! Whether you're First Order or Resistance, the Galaxy is calling. Enter the sweepstakes now, kit out your craft and you may win!